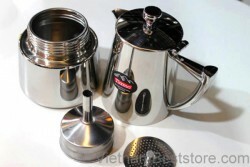 Make espresso like it's made in Europe, with this stovetop espresso maker. 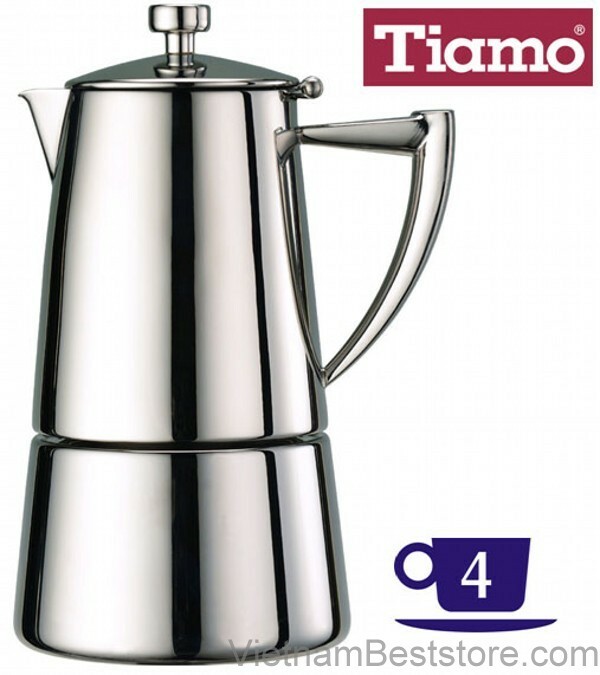 Stovetop espresso makers are popular because they are easy to use, less expensive than electric espresso machines, take up little kitchen space and ... they make utterly fantastic espresso. 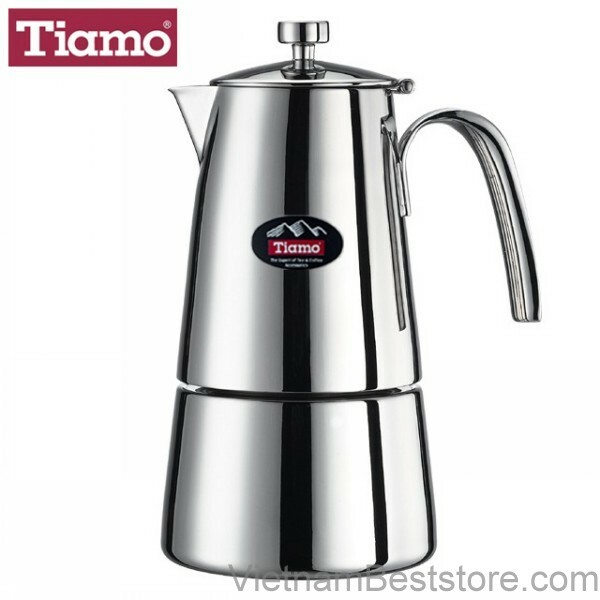 That's why stovetop espresso machines have been well loved and well used all around the world. To use simply add water to the lower part of maker, add ground coffee beans to the basket and place unit on stovetop burner. And voile! fresh and tasty espresso for lattes, mochas, cappuccinos or drinking straight. 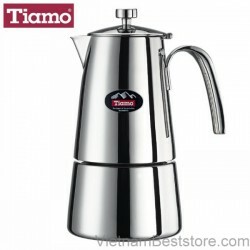 This espresso maker is made of strong and long lasting stainless steel and has a four cup capacity.